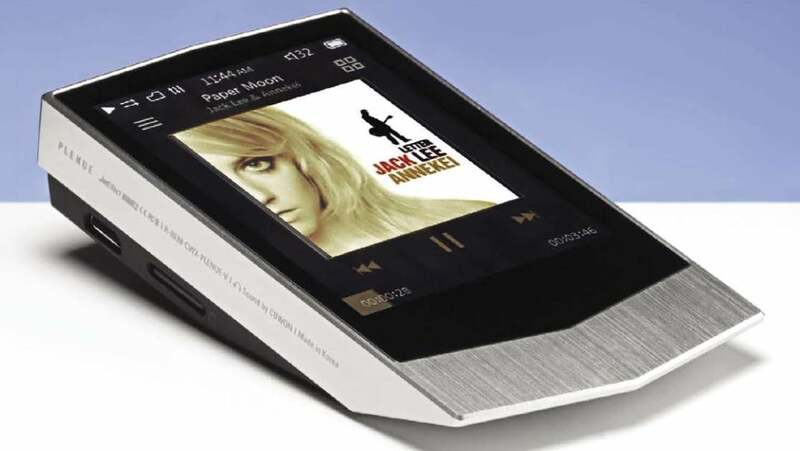 Cowon’s latest high-resolution digital audio player has space-age looks and excellent sound, says ion Myles. 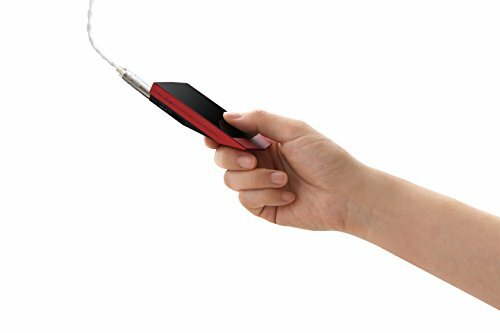 Portable high-resolution digital audio players (DAPs) have come on in leaps and bounds over the past few years. The first had basic controls, small screens and were cosmetically simple compared to something like Apple’s iPods and the iPod Touch. Today, touch screens are becoming standard, while shape, style and build quality are becoming ever more important in a crowded and dynamic market. Nothing typifies this more than the latest player from South Korea’s Cowon – the Plenue V I’m reviewing here. 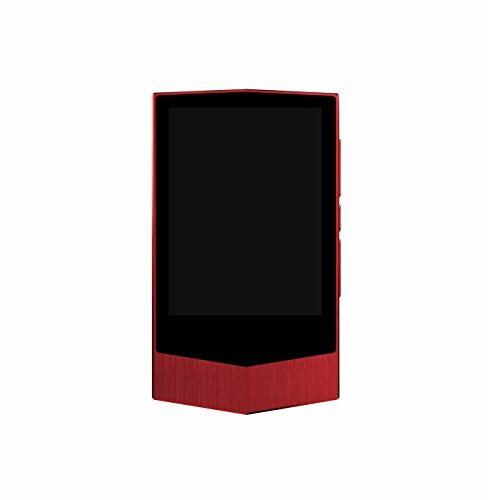 Take it from the box and this sleek machine looks more like a high- tech communicator from one of the Star Trek films than a DAP. Featuring a sculpted metallic body that tapers to a point at the base and has an angled back, the Plenue measures a pocketable 9cm x 5.5cm x 2.5cm. Place it on a flat surface and the front screen is angled up in an elegant manner. That screen can be used to control all the functions via Cowon’s graphical user interface that – while featuring a number of the usual drill-down menus – is intuitive and easy to operate. There are also physical buttons for volume, playback and search on the right hand side. A USB charging lead is supplied and a microSD card slot fitted for adding extra memory up to 128GB. As the Cowon has 64GB of internal memory there’s a total of 192GB available – more than enough for a decent high-resolution collection unless you specialise in DSD, whereupon the limit falls to a few hundred tracks. 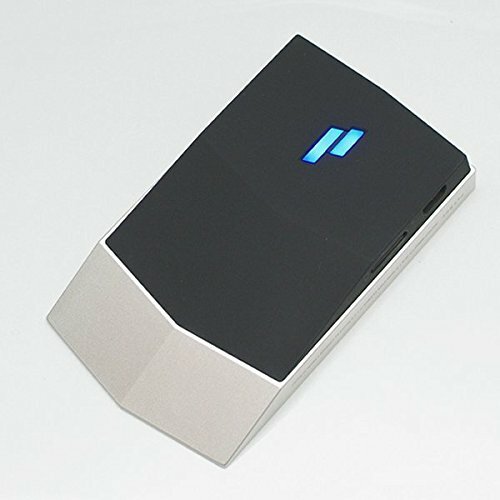 One quirk is a power button that consists of a Plenue logo on the back of the machine that’s pressed to turn on and off. Cowon don’t explain the logic of this – and it isn’t easy to use. “touch screens are becoming standard, while shape, style and build quality are becoming ever more important”. company says, has been optimized for low-power consumption. Cowon claims 27 hours of high-resolution audio playback is possible from a single charge. In testing I managed a maximum of 25 hours – but, then again, I do tend to play my music loud! The DAC also has five digital filters – Fast/Low-latency, Fast/Phase-comp, Slow/Low-latency, Slow/ Phase-comp, Non-oversampling – to enable users to tune the sound to their own individual tastes (more of which later). In terms of design there’s very little to dislike about the Plenue V. Yes, it looks different but that’s no bad thing – and its compact dimensions means it will easily fit into a shirt pocket without weighing you down. I can’t help think that if Apple produced a similar looking product people would rave about it. One side of the Cowon Plenue V has the USB socket for charg­ing and a microSD card slot for adding extra storage (up to 128GB) to add to the unit’s in-built 64GB memory. The on/off power button is (unusually) on the rear of the player and consists of a Plenue logo. Manual side buttons allow for all other functions to be accessed. 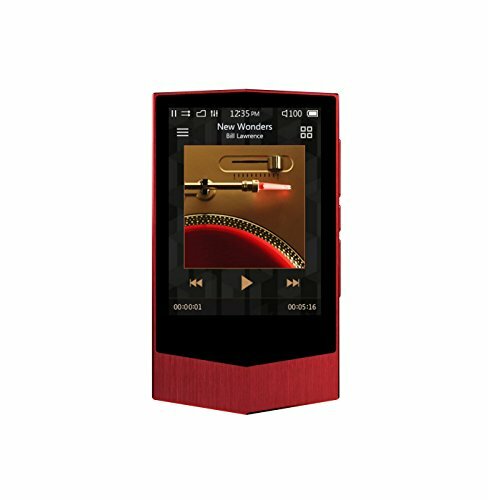 The touchscreen front panel gives access to all features as well as displaying album artwork. It’s menu-driven but not too complicated. I plugged the Plenue into a variety of headphones including my Noble K10 in-ear monitors, a pair of AKG K702 Reference open-back over-ear studio headphones – both ruthlessly revealing – and the new FiiO F9 Pros (see Hi-Fi World review July 2018). Music included standard 44.1 kHz CD tracks, plus a variety of high- resolution material loaded onto a microSD card from a MacBook Air. With the Nobles K10s the Plenue demonstrated excellent definition on Eleanor McEvoy’s ‘I’ve Got You To See Me Through’ (24/96) from ‘Yola’. The opening piano notes were strikingly good, having a natural decay. This is an exceptionally well recorded album and the Plenue V made the most of it. McEvoy’s guitar playing throughout came over as crisp and tight – her voice soared. Switching to the AKGs the soundstage opened up – which is something open-back ‘phones are better at compared to in-ears – with an almost loudspeaker-like quality that added an extra degree of atmosphere to the sound. Now it was as though the vocals and instruments were coming from around my head. I’ve heard more expensive DAPs that don’t delineate between different headphones with such accuracy and a sense of which transducers you have plugged in. Switching to Oasis with their ‘Definitely Maybe’ debut on a standard CD rip showed the usefulness of the various filter options. Here Non-oversampling softened the searing guitar on the opening ‘Rock ’N’ Roll Star’ – reining back the treble to give a much more nuanced presentation. It meant I could turn the volume up that bit louder without wincing. On gentler material, though, I preferred the other settings. Miles Davis’s ‘Kind Of Blue’ lacked some top-end until I moved to the Fast/ Low-latency – and this mode certainly brought the best out of the FiiO in-ear ‘phones which don’t have the same outright resolution of the other pairs. of the Cowon. There’s a lack of digital harshness on high-resolution music – one which suits well-recorded tracks. It also goes loud quite easily and handles bass with a distinct grip. Jah Wobble and saxophonist Evan Parker’s ‘Passage to Hades’ (24/96) with its surging low-end was never short of tempo whichever headphones I was using. The Plenue and its Cirrus DAC remained unfazed no matter how deep the bass went. 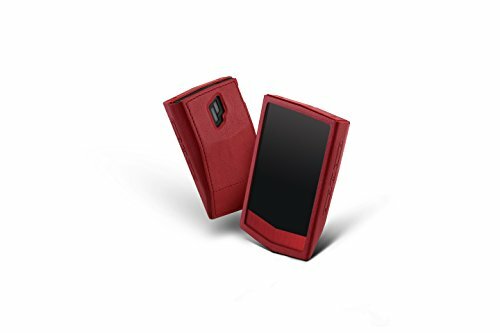 Admittedly, it doesn’t have the same punch of the likes of the better Astell&Kern players. Listening to The Clash’s ‘London Calling’ through the latter’s AK70 MkII revealed better drive and excitement. 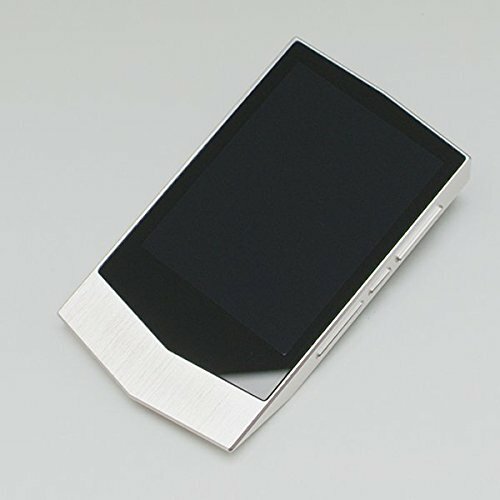 But then the Cowon is £ compared to the Astell&Kern’s and has a rather more attractive form factor. This is a DAP that doesn’t break the bank but offers excellent sound at its price with an easy to use interface. 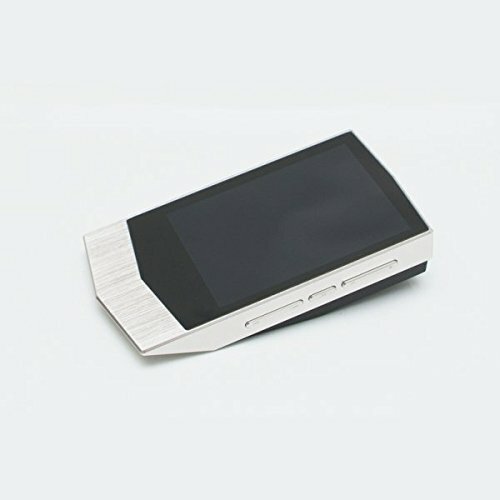 The Plenue V is an excellent DAP from Cowon. It is sleek and eye-catching but most importantly sounds extremely natural and detailed. Get used to the quirky power button! Manual buttons on the right of the player give full control of all functions. Frequency response of the Plenue V measured flat to 84kHz with a 192kHz sample rate digital signal (PCM) – very wide bandwidth. The filters affected this result little, non-oversampling reaching 60kHz. However, with CD at 44.1kHz sample rate all filters were flat to 21kHz except non-oversampling that rolled off high treble, giving a 14kHz (-1 dB) limit, so it will slightly soften harsh CD digital. Output was 1.74V – slightly less than the 2V-3V that is common – but the Plenue V will still go very loud with all headphones, since 1V is more than enough. Distortion values were very low from the Cirrus Logic CS43131 DAC and support circuits, measuring 0.02% at – 60dB with a 24bit signal, where 0.05% or so is common. 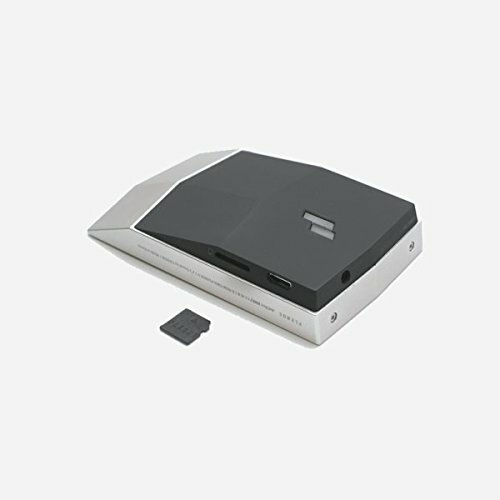 Consequently, EIAJ dynamic range was extremely high, measuring an impressive 119dB – as good as top hi-fi DACs. Cowon suggest 126dB but this is optimistic; the best hi- fi DACs barely reach 123dB. The tiny Plenue V delivers impressive measured performance figures – against other similarly priced portables in particular. It is likely to sound very good as a result. Cowon has raised the game with this DAP. Beautifully designed and engineered with a sound to match. 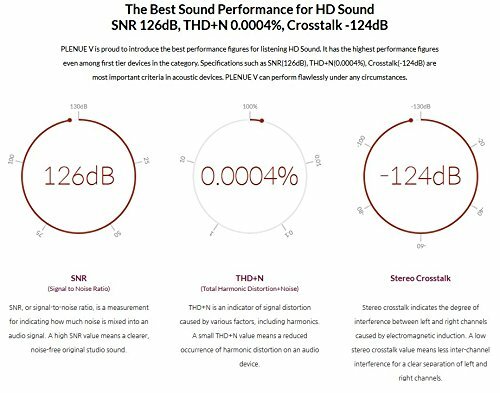 PLENUE V is proud to introduce the best performance figures for listening HD sound. It has the highest performance figures even among first-tier devices in the category. 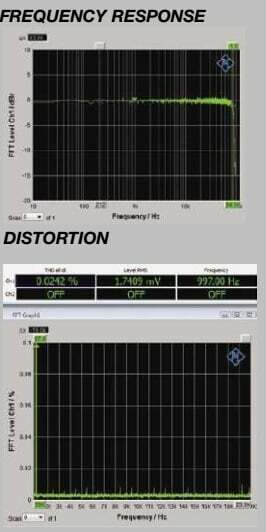 Specifications such as SNR(126dB), THD+N(0.0004%) are most important criteria in acoustic devices. Also the device has outstanding output power to support high impedance Hi-Fi headphones. PLENUE V can perform flawlessly under any circumstances. Experience PLENUE V, a perfect blend of the best sound and style. 24bit/192kHz source recorded in studio provides the best sound, it has no signal loss and has outstanding resolution. Five digital filters (Fast/Low-latency, Fast/Phase-comp, Slow/Low-latency, Slow/Phase-comp, Non-oversampling) are provided to enable fine micro-tuning. 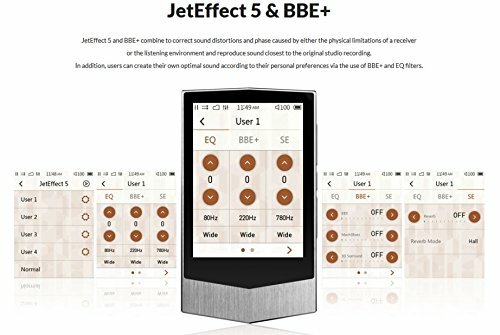 This empowers listeners to tune sounds previously beyond the limits of hearing even with identical sound sources. 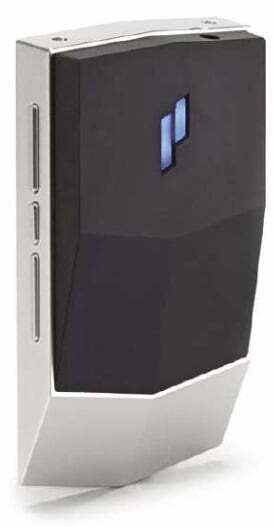 PLENUE V comes with a 64GB high speed internal memory, which is large enough to facilitate high quality audio files. In addition, the storage capacity of the device can be extended up to 192GB by adding 128GB microSD card to its slot at the moment.